Opgenomen in ICP Brussel, El Cortijo San Pedro de ALcantra, El Frente Arte Ronda, Fallout Shelter & Olympic Studios London. 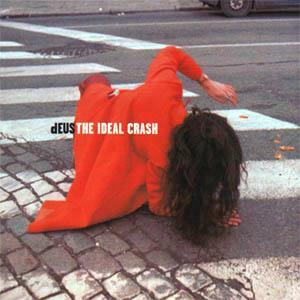 dEUS have already released two critically acclaimed albums, been championed by groups like Radiohead and R.E.M., had clothes designed for them by Raf Simons, directed film sequences for operas as well as having their own movie, 'Theme From Turnpike', open for 'Trainspotting' across Europe. Formed in Antwerp in the early '90s, this eclectic alternative rock band now comprises Tom Barman (vocals, guitar), Danny Mommens (bass), Julle De Borgher (drums), Klaas Janzoons (violin) and Craig Ward (guitar,vocal). Tom Barman became interested in music in his late teens when he discovered the Velvet Underground and Violent Femmes. The first incarnation of dEUS, indeed, specialised in cover versions of those groups' material. Their earliest performances were at the Music Box in Antwerp, a regular haunt of actors, musicians and artists, from whom the band subsequently took much of its bohemian style. At this time Barman had been joined by Stef Kamil Carlens (who has now departed) and the duo embarked on writing songs together. One of their first demos reached the finals of the domestic RockRally competition and prompted them to start touring. On their return to Antwerp they recruited De Borgher (previously their van driver) as a drummer and established painter Rudy Trouvé (also departed) and Janzoons to complete the line-up. Sharing a mutual affection for Captain Beefheart, Tom Waits and John Coltrane, the group set about writing a schizophrenic set of songs that zig-zagged between countless musical genres. The first single to achieve widespread recognition was 'Suds And Soda', followed by the similarly bracing 'Via'. They were subsequently signed to Island Records and commenced work on their debut album, the critically acclaimed and stylistically adventurous Worst Case Scenario. However, touring to promote it was delayed when De Borgher broke his ankle in Berlin. So instead, the group concentrated on their array of solo and collaborative projects (Barman has his own house music group while Trouvé claimed to be a member of at least seven operable bands). Shortly afterwards, the group issued a mail-order-only album, My Sister Is My Clock., followed by the well received, In A Bar, Under The Sea . This album featured the wonderful 'Little Arithmetics' single and was perhaps even more adventurous than their debut, prompting Q Magazine to comment "this is a disturbing and brilliant mix of crazed, acidy rock that will force people to listen". In 1997, with two critically feted albums to their name, dEUS launched themselves headlong into a world tour, comprising 160 dates over four continents, partly to rehearse their new bassist Danny Mommens, who had stepped aboard immediately after 1996's In A Bar Under The Sea . The band have always maintained a strong vision in all areas of their presentation from designing their album artwork to directing their own videos. One year later, dEUS are applying the finishing touches to their third (official) album.The Ideal Crash is a dark, bracing and original recording which reveals more with every listen and without doubt will become a watershed album for this unique and singular group. Thanx to Kevin Moens for letting me use this bio. Is this all worth it , a sceptical person might ask. The answer in the case of this new cd of dEUS if pure and short ...YES ! YES ! YES ! A more important question remains : has dEUS gotten any better : for me personally (admittedly not a very big fan of the first dEUS-records, only the singles appealed strongly) this is clearly something that I answer with another YES! YES! YES!. I think "Sister Dew", "Everybody's Weird", "Let's See Who Goes Down First", "The Magic Hour", "The Ideal Crash" are beautiful & beautifully elaborated songs. As they say in Ronda and the bull-country Andalucia : this cd is "��� de puta madre !!!". And you'd better not look that up in a Spanish dictionary. - Rif-Raf : "Maybe "The Ideal Crash" is a deceptive title, because it promises loud experimental drift, but delivers beautifully sweet summereveninglike melodies ... You rarely get shocked listening to this : the songs drag you along gentily, rather than scruffing you by the neck." - PDW in Humo : "...TIC is a gulch of pure unadultarated class that sets the international competion back to it's rightful place : and that's about 25 Alex Puissant paces behind dEUS". - Café des Arts (De Morgen) : "the capricious, Beefheart-like side of the band seems to have been pushed backwards a little, and the more "poppy" side of dEUS - something that has always been there - has been emphasized much stronger this time. An immidiate result of this is that TIC gives the impression of being the most straightforward, quiet and most accessible album these gODS from Antwerp have made so far". - Teek : "A record that grows and, if you give it enough water (and love), slowly flourishes. ... This fivesome from Antwerp is first of all a classic rock band, not jumping on every train that passes by. While listening to THE IDEAL CRASH, the names of Elliott Smith, Eels, Leonard Cohen, Neil Finn, Bryan Ferry, Will Oldham, Massive Attack ... came to our minds, and when the record hits the shops you will probably discover others." You can order this CD from a number of locations (prices researched on March 25th, 1999, but nothing guarantees they still are the same when you read this).